It’s an overwhelming environment and it was difficult to know where to start. I was too eager to begin making, knowing I had a limited amount of time there. 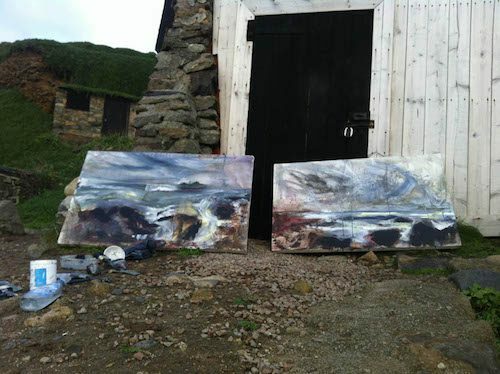 I began 3 large scale paintings working in situ outside. 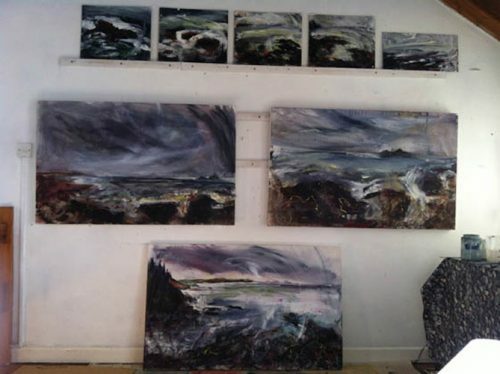 Additionally I carried out studies and drawings to help complete the paintings at the end of the Residency. On reflection I think one week wasn’t enough and that I should have applied for a fortnight. Although my project went well I felt I needed the first week to really acclimatize and to absorb my surrounds and become familiar with the place before starting work.